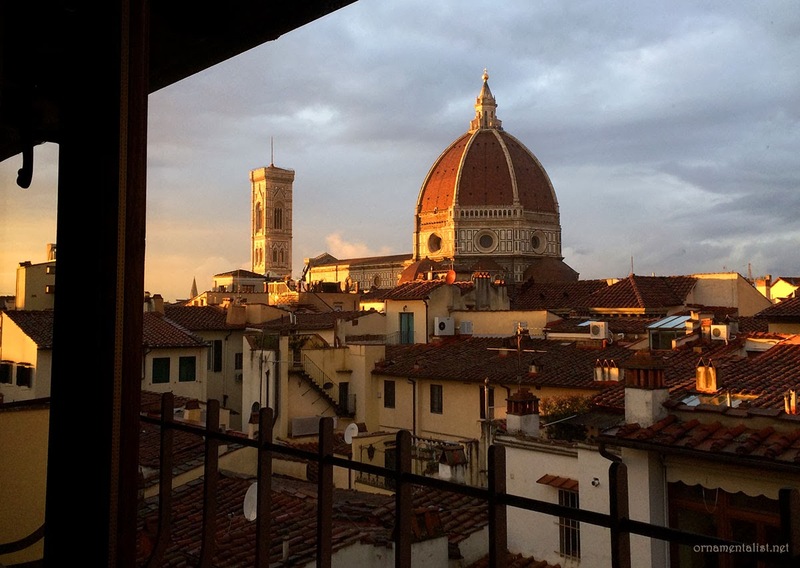 The view from my Florentine home: watching the light change over the surface of the Duomo. Florence in the winter is lovely, empty of tourists, and our apartment has a spectacular view of the Duomo and Campanile. I have visited here so many times in the past (cough) 34 years, but those visits were all so brief. It’s so nice to just sit here and appreciate the light. We awake every morning to ringing bells and a view of the Duomo. In the evenings Brunelleschi's masterpiece is bathed in that special Florentine light, which at times infuses everything with my favorite color of yellow. I wander the streets getting a bit lost and finding inspiration in every doorway. I recognize the culture here as my own even though I grew up a world away, and feel the importance of art and beauty in daily life here, without the plastic layer of that weird modern need to justify the cost of everything. that light is truly unique in the world. So consistent too.